Web Desk: Padmavaat actor, Shahid Kapoor is high on success. Now he is ready to bagged yet another interesting project. He has been cast in an upcoming movie, which is inspired by the life of gold medalist boxer and cancer survivor Dingko Singh. According to Shahid, his life was unbelievable crazy. Asian gold medal winner was diagnosed with cancer and he struggled to not only fight the disease physically but also financially. So much so, that Gautam Gambhir helped him financially when he got to know about. Shahid thinks Dingko Singh biggest win was battling cancer and not winning the gold medal at the age of 19. “The thing that I loved about this story is that he is one of those superstars who we don’t know much about. If a film like Dangal (2016) wasn’t made, we wouldn’t know as much about the Phogat sisters. Dingko is a cancer survivor, and he went through 13 rounds of chemotherapy. 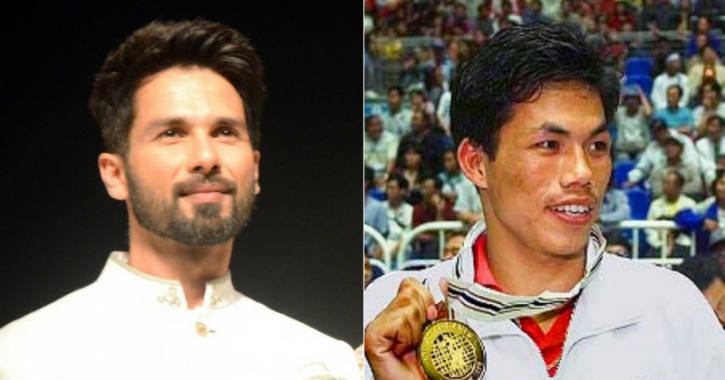 He has even gone on to say that his biggest win was surviving cancer and not the gold medal he won at the age of 19 at the 1998 Asian Games in Bangkok,” Shahid told Bombay Times about the unsung hero our country. Dingko Singh is an inspiration for young boxers. He is so passionate about the sport that he became a coach. The movie inspired by his life will go on floors in April 2019.